As part of a proposed budget Lancashire County Council are planning the closure of five museums in the county, from April 1st 2016. The money saved by the proposed closure is part of planned saving of £65m by the authority of the next two years. The council’s budget also proposes axing the Heritage and Arts Service, which promotes museum and library collections, from April 2016, and the Lancashire Historic Environment Service. This will leave the county without any controls over archaeology threatened by development, just as happened in Liverpool between 2011 and 2014. Archaeology is a non-renewable resource. If this proposal goes ahead archaeological sites will be lost without any record and artefacts destroyed. Dr. Mike Nevell, University of Salford and Chair of the Council for British Archaeology North West, has written an open letter to the leader of Lancashire County Council. “I am writing on behalf of the Counc il for British Archaeology North West to protest in the strongest possible terms against the closure of the Lancashire Historic Environment Service. The proposed closure raises a very serious question regarding what future provision the County intends to make for informed archaeological advice in the planning process, to meet the heritage requirements of the National Planning Policy Framework, otherwise known as NPPF. These provisions are not a discretionary service. The NPPF, and its planning guidance, governs planning policy affecting archaeological sites, monuments, buildings and landscapes, setting out a holistic framework for their constructive conservation. It embraces appropriate development that delivers the long term viability of heritage assets while conserving their significance for the benefit of generations to come and emphasises the importance of the principles of sustainable development applying to the management of change in the historic environment. Will maintain or continue to have access to a Historic Environment Record (HER) as required in NPPF, page 41, paragraph 169. Will continue to hold evidence about the historic environment and heritage assets in its area and that this will remain publicly accessible. Will continue to have access to appropriate ‘expert advice’ (from in-house experts, experts available through agreement with other authorities, or consultants and complemented as appropriate by advice from heritage amenity societies) in order to fulfil the requirements of the NPP F.
Furthermore, that the Council be able to demonstrate how it will ensure that all planning applications are monitored by a fully qualified and experienced archaeologist who is a member of the relevant professional body (The Chartered Institute for Archaeologists) and give assurances that there is a system in place to ensure that the significance of heritage assets is fully considered in the planning process. The Council for British Archaeology North West has been promoting archaeology in the region for more than 40 years. Our membership, many of whom live within Lancashire, comprises 260 individuals and a dozen local archaeology and history societies (with a combined membership of over 600). On behalf of our extensive membership we remind the Council that it is required to maintain or have access to an HER – this is not a discretionary service. First, the Conservative Leader of Oxfordshire CC exposes how Cameron’s cuts have led to destruction of the civilised amenities in his constituency, which Cameron “regrets”, Now Osborne’s cuts are forcing the Labour Lancashire CC to attack, along with much else, the industrial heritage that should be an inspiration for Osborne’s northern powerhouse. 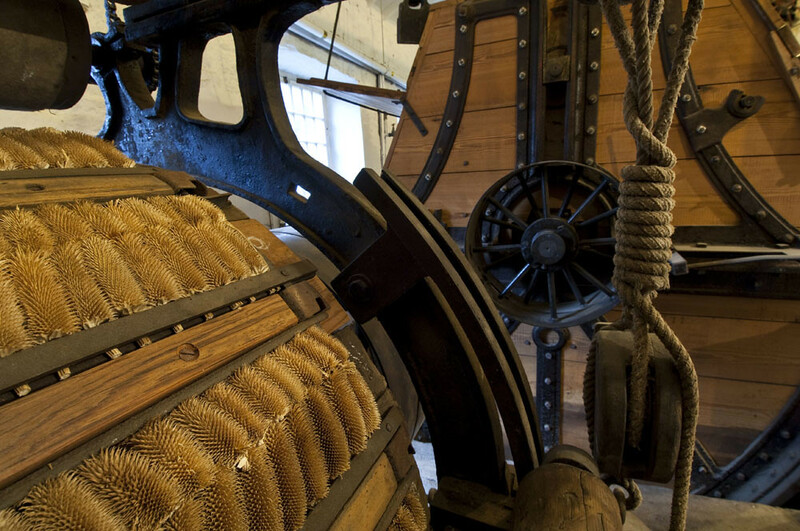 Two of the world’s leading textile museums, Helmshore and Queen Street Mill are to be closed. Does the government have no concern for keeping alive the greatness of Britain’s past, which should nourish what we are doing today? I want to thank you for your piece in the Guardian about Lancashire County Council's decision to close all its directly operated museums on 31st March next year --- including the "Designated", and extremely important sites at Helmshore and Burnley (Queen Street Mill). Although staff knew that the LCC budget position was bad, no one predicted that they would decide to close all the museums completely in such a short space of time. From my digging around behind the scenes I have to say that I don't think any amount of pressure is going to make LCC reverse their decision. However, I do think that pressure could force them to continue funding the textile museums for another year. This would give time for a full investigation of other models for operating the sites. No guarantee of success can be given but it is impossible to investigate this properly in the space of little more than 16 weeks which include Christmas and New Year. If the buildings remain shut and un-heated for many months deterioration will be a very serious issue. I wonder, therefore, if I could ask you to write to Jennifer Meins, Leader of Lancashire County Council, PO Box 78 County Hall, Preston PR1 8XJ urging the County Council to delay closure until at least 31st March 2017. If you can persuade anyone else to write as well that would be excellent. If you want any further information just let me know. I understand the pressures that you are under to balance the budget, but I was very disappointed to learn that the Helmshore and Queen Street textile museums were to be closed. These are museums of international importance as a record of the amazing changes that took place with the establishment of Lancashire as the world's centre of the cotton industry in the 19th and early 20th century. There was a saying, perhaps only slightly exaggerated, that around 1900 Lancashire produced enough cotton fabric on Monday morning to clothe Britain and in the rest of the week enough to clothe the rest of the world. Is Lancashire to turn its back on its history from a time when it was probably better known worldwide that any other English county. If closure in the long term is inevitable, can I plead with you to delay the closure for a year? This would mean that the closing can be carried out in an orderly way. It would also provide an opportunity for the many people who value the collections to find ways of ameliorating the effects of the closure. Loom instructor from Queens Mill, Lancashire talking about setting up the machinery and using the shuttle.